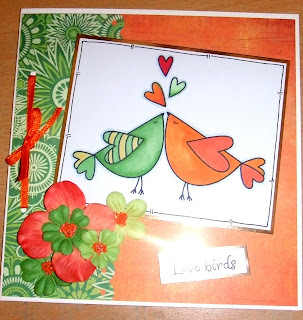 Lovebirds from DigiStamp Boutique. 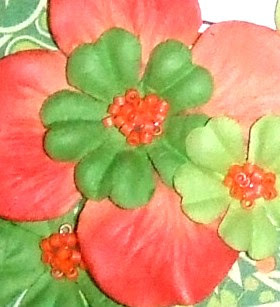 Check out their site - Absolutely fab! Colours inspired by Basic Grey Lime Rickey. Coloured using a mix of "on the run" and promarkers. 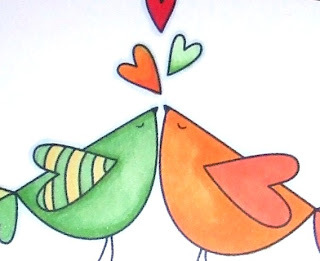 The love birds are really sweet! !